Should SC revisit Rafale case after The Hindu story or not have heard the plea at all? A new report has revealed that the Narendra Modi government waived the anti-corruption clause in the Rafale deal with France. In December, the Supreme Court had dismissed all pleas seeking a court-monitored probe into the aircraft deal saying that it has no objections. ThePrint asks: Should SC revisit Rafale case after The Hindu story or not have heard the plea at all? The Supreme Court must absolutely review its judgment. It is clear that the government misled the court, and fed them false information. This happened not on one odd count, but on several counts. Questions on how the negotiating team operated, the role of the PMO in the entire exercise, removal of the sovereign guarantee and now we learn, the anti-corruption clause as well – are quite damning. The Supreme Court should not only revisit its judgment, but should also identify the officials responsible for feeding such false information to the court, and punish them for contempt of court and perjury. Previously too, we have only been asking for a court-monitored CBI investigation into the Rafale deal. All the facts that have come to light show that there were several procedural violations in the deal. From the removal of HAL and bringing in of Anil Ambani’s Reliance, to various other violations that are public knowledge today, including the repeated interference of PM Narendra Modi, there is an endless list of wrongs that were committed during this deal. It is a deal which reeks of corruption. And therefore, the court must order an investigation into the matter immediately. The controversy over the acquisition of the Rafale aircraft has become like the proverbial millstone and refuses to go away. 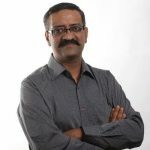 In an election year, it has become the peg on which the media, major political parties and the besieged administrative machinery have all decided to hang their coats on. There are allegations, file papers which should have been classified liberally splashed across all media, sound bites from anyone willing to share an opinion with no sign of the crescendo dying down anytime soon. In the midst of all this sound and fury, the issues of force preparedness, need, adequacy and actual procurement are lost in the miasma. The question that bears asking is, had it not been an election year, would the issue have acquired this pitch? Issues related to agents, paybacks, commissions have been flagged time and again. But except in the case of Bofors, and now Rafale, the level of engagement has not been so intense. Maybe the issues that have been flying forth need to be stripped bare and the systemic faults or cracks they throw up need dispassionate dissection. Knocking on the doors of the Supreme Court in such issues in a piecemeal manner impacts the gravitas of the issue at hand. Judicial intervention in politically sensitive matters can be ticklish. Intervention, non-intervention both would trigger criticism. But the court’s vacillation after intervention can be far worse. 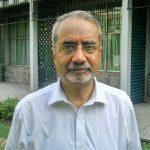 In the Ayodhya case in 1992, the Supreme Court accepted the undertaking in good faith only to be let down, as the undertaking proved out to be only a piece of paper. 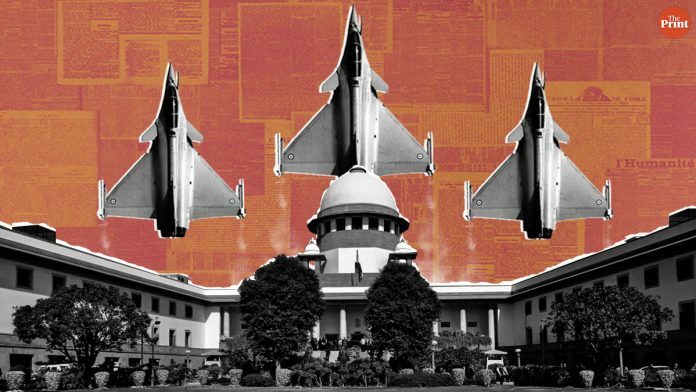 In the Rafale case too, the SC may have felt let down, as all kinds of muck have surfaced after it declined to exercise its discretionary jurisdiction under Article 32 of the Constitution. When a court does that, then there is no ratio of the verdict. Its “views” are only orbiter. It would be wrong to read the SC’s verdict in this case either as a clean chit or otherwise. But with application and review petition now being moved, the situation has become worse. Since the allegations are serious in nature, the SC may be constrained either to deal with them head on or recall its earlier order and dismiss the writ petition, observing that it was declining to give any finding either way since that would amount to the court entering into political thicket, leaving the parties to fight the battle politically, unless there is proven evidence of corruption. 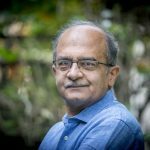 There are several good reasons for the Supreme Court to re-examine its judgment delivered in the context of the Rafale deal. The recent revelations by The Hindu would not be one of them. Undeniably, the judgment is riddled with factual errors and suggests a certain judicial haste in deciding the matter. The fact that no action has come forth from the court nearly two months after the errors have been pointed out reflects badly on the judges and the system. Yet, I do not think that the Supreme Court was necessarily correct in even hearing the case last year. 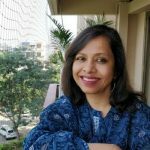 To have entertained the matter at the instance of serial PIL abuser Manohar Sharma, and on the basis of incomplete information and inchoate understanding of the processes do not reflect well on the court’s priorities. It seems that the court succumbed to the politician’s syllogism. With the facts still unclear and the Supreme Court not being a trial court to adjudicate on the facts, it should have been wary about trying to make a conclusive determination about the Rafale deal. As it stands, the revelations by The Hindu raise more questions than they answer – questions that the government needs to answer if it hopes to make good its claims on national interest and probity in public office. These are not questions that should be answered in a judicial setting, least of all in a court, which has long since abandoned anything like fair procedure in hearing such disputes. The Supreme Court should not become the court of first and final resort. When it decided to examine the Rafale deal, the Supreme Court should have realised it could end up being on a slippery slope, one where its decision, whatever it is, would attract controversy. However, when the judgment finally arrived, the Supreme Court found itself in a controversy for which the main blame lay at its feet. The judgment contained errors that didn’t exactly add to the stellar reputation of the country’s highest court. 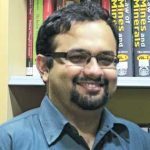 But since it can’t undo what it kicked off, it now has the opportunity to accept its folly and revisit the entire case — especially in view of the latest revelations that suggest that the Narendra Modi government may not have been completely upfront in making material concerning the Rafale deal available to the court. This case is a lesson for the judiciary about the perils of coming to conclusions on the basis of material provided in sealed envelopes. It helps that not only is there an application for removals of mistakes in the judgment pending, there is also a review petition that has to be ruled upon. But the big question is: will the apex court accept that it erred, and revisit the case? Previous articleWhat did Koffee With Karan Season 6 tell us that we didn’t already know from Instagram? Next articleCitizenship Bill: Will BJP lose hard-won support in northeast or consolidate Hindu votes? No JPC and an unjust SC.The sharp and pointed disclosures of govermental wrong doing is in the open.A cute liberal generation asks only for an apology for that is presumed ad statesmanship.Democracy and Constitution is in the hands of its worst enemies.Public monies can be spent or disbursed at will.Files can be reconstructed once the Supreme Premier only winks.India lies supine and trampled. Yes , SC must reopen this case on priorty , & also punish the officer who mislead the H Sc . And save the credibility of SC & nations faith on judiciary . The positions presented focus on the Rafales affair. But the real question : is justice really independent? Should the Supreme Court not be reformed? Should not its independence be assured? Should not the judges who make up this institute be above suspicion? The error is human indeed. But in recent times decisions have been made leaving a doubt about the independence of this institution. Yes, there is no harm in the Apex Court revisiting the case. Review petition is already pending with SC. Instead of writing articles, let the critics argue these points in the court. However, there cannot be prejudgment of the SC verdict and presumption of a scam or corruption, when no evidence therefor exists.The CAG report is likely to be submitted soon. Let us also wait for their findings. One has to understand that insisting on sovereign guarantee and such other requirements as escrow account, inclusion of anti-corruption clauses as inviolable conditions of contract had its own costs. Due to protracted delay and indecision by the UPA government, India was at a weak bargaining position. Doing away with the French contract would have meant re-bidding and further delay in acquiring fighter air crafts. What about the cost of such delay? There is no such thing as zero risk in any decision making. One has to consider available options if India had to forgo contract with Dassault Aviation. We had only one real option – Eurofighter planes manufactured by a consortium of four nations- UK, Germany, Italy & Spain. Forget sovereign guarantee & escrow facility, even Inter-Government Agreement was not feasible in case of Eurofighter planes. Moreover, what stand these nations would take in the event of escalation of conflict between India and Pakistan is an imponderable. What about these risks? That kind of sounds nice. So you are saying that the government wanted to quickly get the fighter aircrafts on the ground for IAF. Cool! However, as it turns out, its 2019, 4 yrs since Modi Sahab signed the deal and have you seen a single Rafael in the Indian skies? Answer is a big No, so there goes the urgency aspect of the excuse. It will still take 2 more years before we get a plane. Secondly, the IAF wanted 126, but is getting 36. Brilliant thinking? Hardly! They still need the numbers and will need to “restart” the whole process to buy the planes from scratch! According to the UPA deal, it could have taken 11 years for complete delivery of all the planes, i.e. not considering possible time escalation and delays at HAL, which is a usual feature. Please don’t think that fighter aircrafts are available off the shelf- you swipe credit card and get delivery via Amazon. Three to four years is the minimum period required for any supplier. By the way please also read section 71 of DPP 2013, which stipulate that inclusion of standard clauses in case of IGA is not mandatory. Justification released by the government also needs to be taken into account. My contention is simple – inclusion or exclusion of such conditions are a matter of opinion, depending on the circumstances of each case. It need not be a scam. Still, if you scent a scam, go to Supreme Court. No point engaging in futile and wasteful debate. That’s precisely the point, that they are not orderable like Amazon. Sahab changed the deal and the first batch of 18 aircrafts which would have been fully inducted by next year now gets delayed by another 4 years. Secondly, getting planes in batches from HAL is much much better than starting new MMRCA, for which the technical evaluation itself by IAF will take at least 5 years. On top of it , there will be a big headache for IAF in terms of maintaining the small set of Rafael’s. You need the complete supply chain behind each aircraft to keep it in flying condition. Anyways you look at it, this 36 aircraft deal doesn’t make sense.